Milwaukee Hyperwire™ wire brush products offer faster material removal and greater life yet maintain a finer finsh. 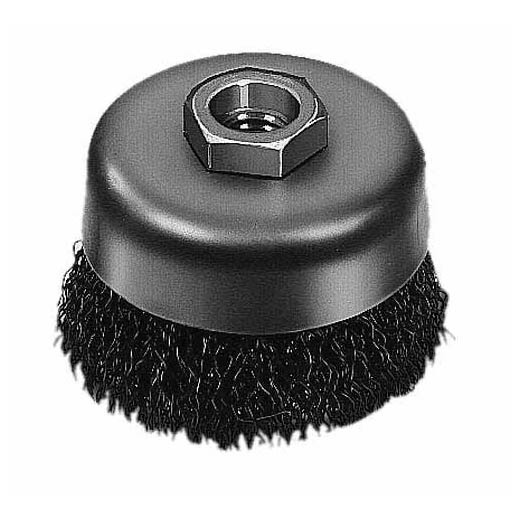 For lighter duty surface cleaning a Crimped style Cup Brush is appropriate. Crimped wire is less rigid than Knotted and can get into crevices more easily. Milwaukee offers a full range of Crimp and Knotted Wire Cup Brushes.